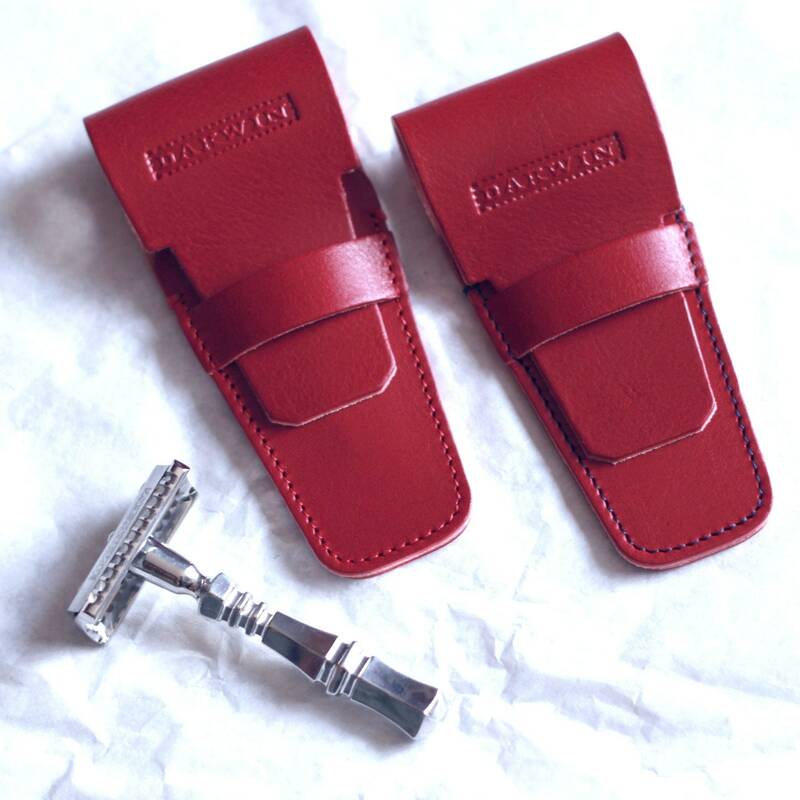 This beautiful genuine leather pouch keeps your razor protected while you are travelling, or if you want to keep your razor safely stored at home. 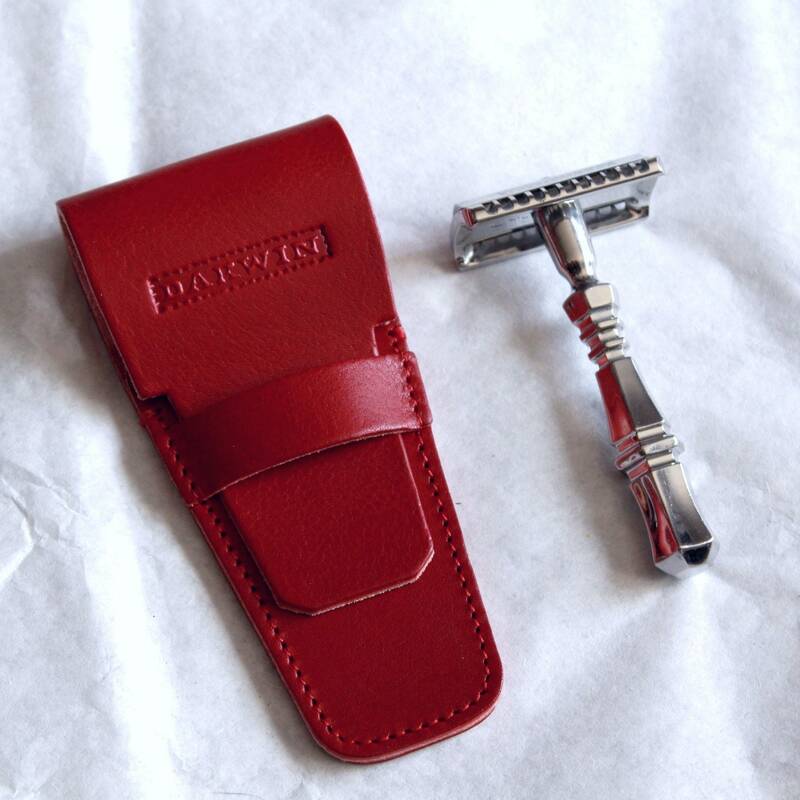 It also brings quite the classy look to any den or washbag, doesn't it ? Designed and made entirely by hand in France, by skilled craftsmen and women. Using genuine full-grain vegetable tan leather, its design is understated yet elegant, with a light Art Deco touch that enhances our signature logo. The impeccable finishing touches, the purity of the materials used and the rare craftmanship reach the highest standards. This high-end accessory will be your companion for many years. Leather is a living material : with time it will get more supple, get a beautiful and unique patina, and gain character. 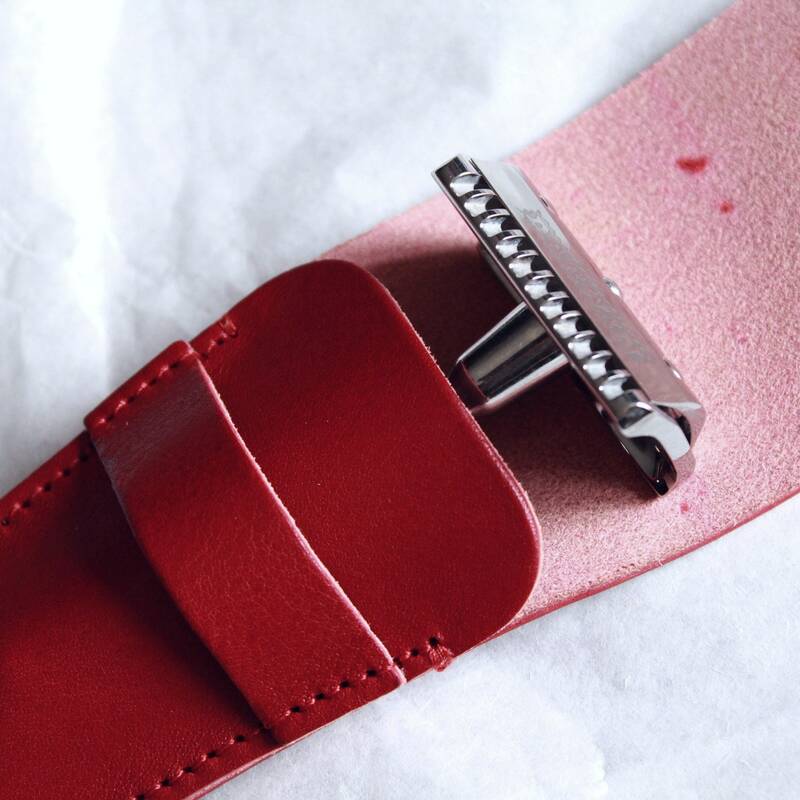 Its universal format will accommodate any safety razor with a standard shape (from 8 to 12cm long !). All Darwins, Feather AS-D2, Charcoal Goods... will fit. If you have any doubt, please contact us. 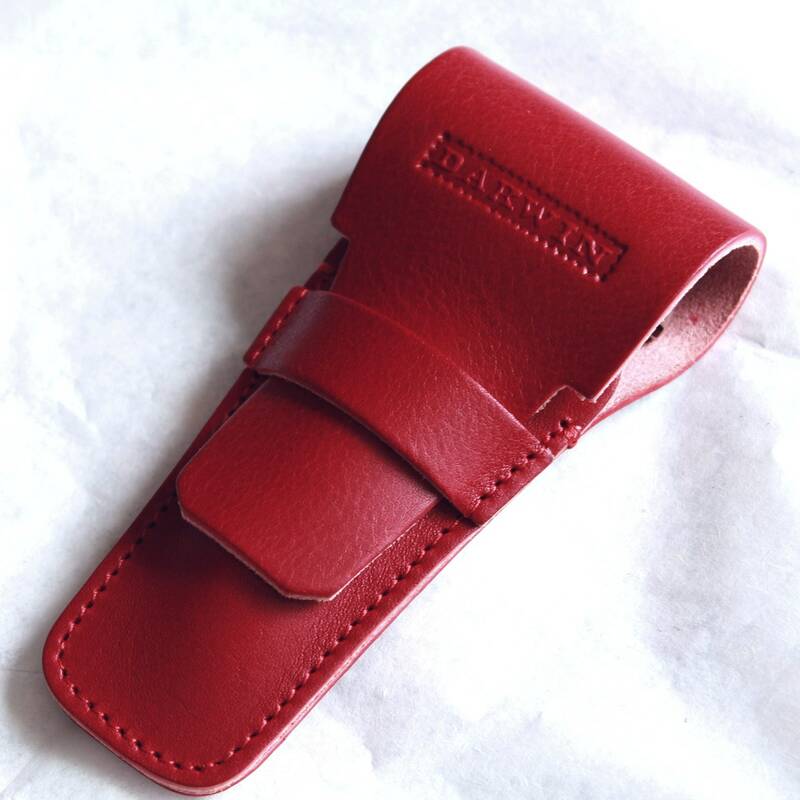 Dimensions : approx 12 x 5.6cm (as length is adjustable). 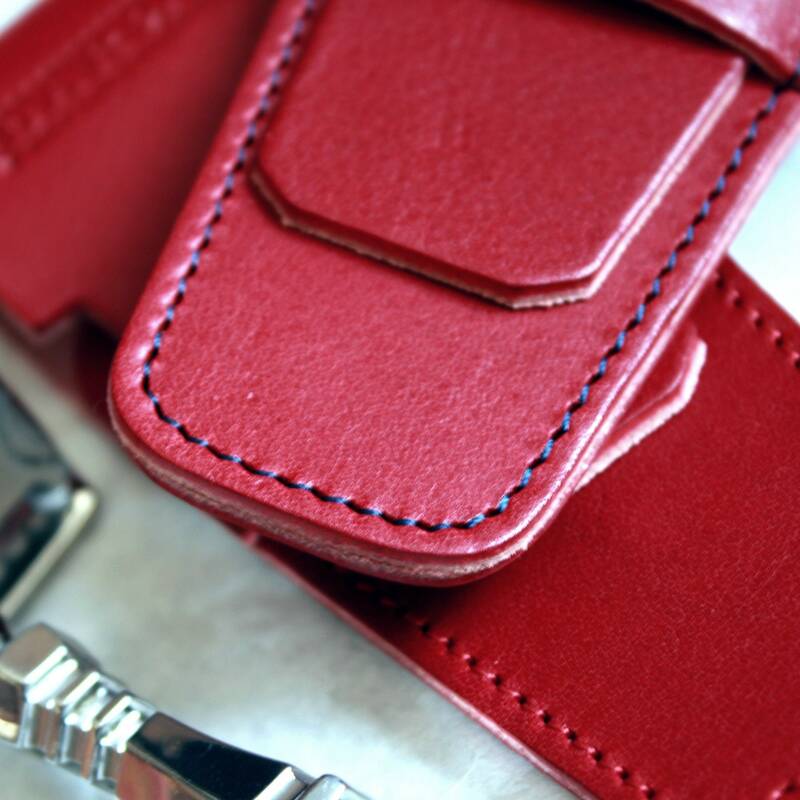 Leather Color : Deep Red. The pictures don't do this red justice, as this dark red really embodies charisma and class. Thread color : your choice between the following 7 colors ! The razor shown is not included. Shipping prices are indicated for each item. If you want to buy several (thank you !) I can of course combine shipping cost. Etsy will automatically do an estimate, but it usually is a bit lower, I would then refund the difference. Don't hesitate to ask us to calculate a real quote.